Chilly fall weather is blowing through Arkansas, heralding the approach of winter in the coming months. Get in the mood for the upcoming winter months with a concert dedicated to Trans Siberian Orchestra and all your favorite TSO wintery songs. During “On a Winter’s Night: A Tribute to Trans Siberian Orchestra,” sit back and relax as you listen to the sounds of a host of talented musicians as they pay tribute to Trans Siberian Orchestra. Under the music direction of Dr. Brian Faulkner and the audio/visual direction of Larry Roberts (of RedBea Productions), area musicians will play music from Music from Christmas Eve and Other Storiesas well as a collection of other TSO favorites. The musicians performing during “On a Winter’s Night” include Brian Faulkner (piano/director), Mike Lovelady (drums), Andy Lindemann (bass), James Primm (guitar), Jeff Sweeden (guitar), Wren Jae Whiteseven (violin), Matt Miller (keyboards), Paul Milner (vocals), Dr. Mark Gotcher (vocals), Boyd W. Barton (vocals/acoustic), Zac George (vocals), Shirley D. Faulkner (vocals), Emory Molitar (vocals), Joe Cross (vocals), Coralin Davelaar (cello), Bill Parton (trumpet), Kenneth Cantiz (trombone) and Brice Gunter (sax). In addition, the River Valley Treble Chorus will perform on selected numbers. 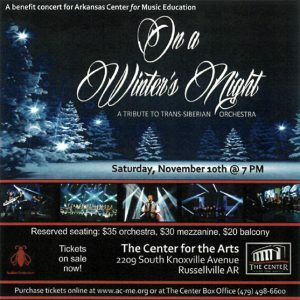 “On a Winter’s Night: A Tribute to Trans Siberian Orchestra,” will be held Saturday, Nov. 10, at 7 p.m., at the Center for the Arts, at Russellville High School. Tickets for the event are reserved. Orchestra tickets are $35, mezzanine tickets are $30 and balcony tickets are $20. 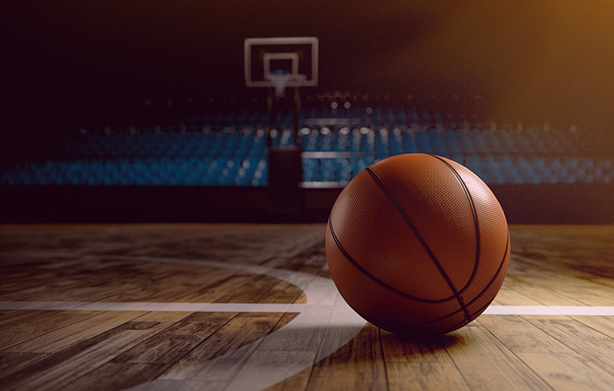 Handicapped tickets are also available and can be purchased through the Center’s box office. To purchase your ticket, click here. Proceeds from the concert will go towards supporting the Arkansas Center for Music Education. 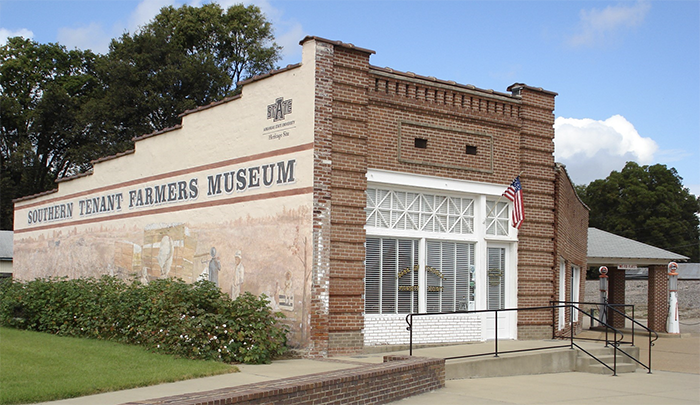 The Arkansas Center for Music Education is a non-profit organization that provides “quality and affordable music education through class room instruction” as well as providing opportunities for instrumental and vocal ensembles for children. The center also provides enrichment classes that are aimed at helping individuals gain a greater appreciation for music and a greater understanding of themselves.